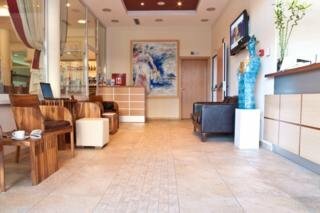 Newly Built and Opened in 2007, the Hotel is One of the Few Family-Owned and Operated Hotels in Dubrovnik. It is a Real Home Away from Home. It Offers a Combination of 24 Modernly Furnished Rooms and Suites (Apartments). All Rooms Have Balcony or Terrace Area. Full Breakfast is Included in All Rates and is Served in the Breakfast Room On the Ground Floor. Newly Opened in 2011 is Outdoor Pool and Bar Area With Sunloungers, Jacuzzi and Deck Area For Guest Enjoyment. For Additional Fees, Guests May Take Advantage of Boat Charter and Fishing Excursions. Internet Access and Parking is Complimentary For Hotel Guests.